Not available for public use. For more information please contact David Gaertner: david.gaertner@ubc.ca. Knowing the Land Beneath our Feet has created a mailing list for those who are interested in receiving important and exciting updates about the initiative. Knowing the Land Beneath Our Feet (KLBF) presents a very different account of the history than what most people living and working on the University of British Columbia (UBC) Point Grey campus otherwise might assume. Using digital mapping technologies, KLBF makes familiar UBC spaces unfamiliar for students, instructors, faculty, staff, and visitors by reaffirming the living Indigenous and Musqueam cultures, histories, and relations on the Point Grey Campus. The First Nations and Indigenous Studies Program (FNIS) and the Critical Indigenous Studies Institute (CIS) recognize their responsibility in acknowledging the Musqueam Nation’s uninterrupted jurisdiction over the lands on which UBC stands, and in ensuring the underlying Musqueam knowledges and relations with their territories are made more visible amongst the UBC community. This responsibility and commitment extends to other Indigenous histories and presences on this land. Knowing the Land Beneath Our Feet (KLBF) creates visibility by detailing the Musqueam and Indigenous histories of the campus using unique and easily accessible digital mapping technology. Knowing the Land Beneath Our Feet (KLBF) is intended to contribute to the collaborative relationship defined in the Memorandum of Affiliation between the Musqueam community and UBC through the use of smartphone applications that familiarize students, faculty, staff, and visitors with the Musqueam living culture, history and relationships on the UBC Point Grey campus. As a mobile media archive, KLBF can also be used as an information and story-sharing tool for the Musqueam community. Additionally, through university and FNIS funding, KLBF offers research-based job opportunities for Musqueam students and the opportunity to train with FNIS faculty and staff and to help lead this project as it is launched into the UBC infrastructure. Faculty and staff in FNIS and CIS are often approached to recommend classroom resources that address UBC’s relationship to the land. While we are eager to encourage respectful engagement with the Musqueam and Indigenous histories on campus, the Program simply lacks the human resources to fulfill every request. Supported and disseminated by faculty and staff from FNIS, the Co-ordinated Arts Program, the Centre for Teaching Learning and Technology, and UBC Digital Technologies, KLBF will be an easily accessible and navigable resource that FNIS, its partners, and Musqueam, can direct instructors, students, and visitors towards. FNIS currently has a database of over fifty instructors from a variety of fields (including instructors from Biology, English, History, Geography, and Land and Food Systems) who have expressed interested in this internet-based resource and we believe the mapping application can have significant and beneficial impacts on student, faculty, and staff interactions with campus and the Musqueam community. Because of the nature of this project—its close connections to land and Musqueam history—FNIS recognizes that KLBF is only as good as its relationship with and accountability to the Musqueam community. The committee therefore wants to ensure all sites represented on the app, and all content developed for those sites, has been vetted and approved through the appropriate channels at Musqueam before it is uploaded to the app or shared with the larger UBC community in any way. The project leads, including a FNIS Faculty member will ensure that proper, thorough, and respectful communication channels are open between the KLBF team and Musqueam and that site content and news about its development has been put in writing and given to Leona Sparrow and the Musqueam Advisory Committee for approval. The project leads will also present regular updates on the app’s development at the monthly project meetings held with the Musqueam Advisory Committee. Wherein the sites on the mapping tool are from First Nations other than Musqueam, the KLBF team will seek consultation with the appropriate communities and artists. All site content will be made available to the Musqueam Advisory Committee for review before they are published to the web. Before the app is launched to the public, Musqueam community members will have the opportunity to test it on campus and to offer feedback, suggestions, and additions, at an event hosted and facilitated by FNIS. Goal: introduce students, faculty, staff, and visitors to the rich place-based histories of the Musqueam and other Indigenous communities on the UBC campus. Action: Built out of a tested UBC digital mapping application (hereafter app), KLBF has the capacity to hold over one hundred gigabytes of video, audio, and text-based data, which users across campus can stream though their smart devices as they engage with Musqueam and Indigenous locations on campus. As users approach sites identified by the team and the Musqueam advisory they are able to access text, photographs, and video interviews providing unique insights and histories on those sites. 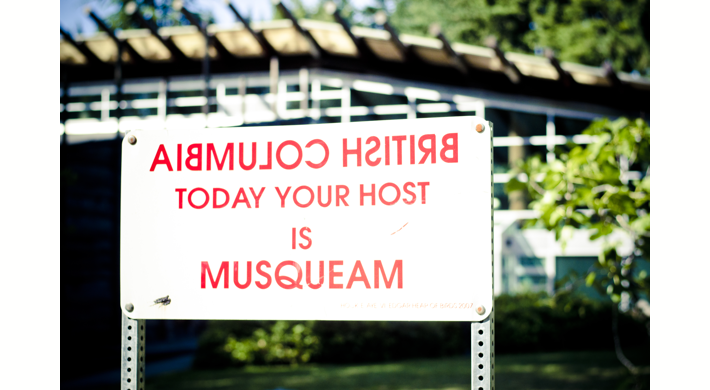 The sites and their associated content will be vetted and curated under the governance of the Musqueam community. Using the app users can uncover for themselves the stories behind sites they pass by everyday. If they are interested in learning more, they can use the app’s built in GPS to locate sites they have not yet encountered and connect to the web for further information and details. Goal: provide an easily accessible online database about UBC Point Grey that the Musqueam community can draw from and contribute to. Action: FNIS is committed to providing training and workshops and to working with the Musqueam community to include stories and sites they would like to see represented on the app. The information on the mapping tool can be quickly edited and adapted through an administrator account to suit user needs. There is also ample room for expansion following the app’s initial release. FNIS will house two website administrators—one faculty and one staff. These administrators will work in regular consultation with the Musqueam community and the KLBF academic team to maintain, grow, and edit the sites. All sites on the app, and the information pertaining to them, will be written and vetted by the committee including FNIS, UBC, and Musqueam representation. Community members will also have the opportunity to submit their own stories and ideas for sites at workshops held at Musqueam and on the UBC campus. The Musqueam Advisory Committee will also vet this collaboratively produced content before being uploaded to the app. Goal: Support UBC Faculty in introducing students to Musqueam and other Indigenous histories on campus. Action: FNIS and the KLBF team will provide teaching support for the app with faculty and student workshops, guest lectures, and guided tours. We are also in the process of developing a teaching guide for KLBF, which will be distributed in hardcopies in the FNIS offices and in digital form via the FNIS website. Campus wide, general access workshops will also be offered once per term, serving to introduce interested parties to the app and to provide basic training in its use and pedagogical merit. Goal: Create an easily accessible resource for Indigenous students on campus and connect Musqueam and Indigenous students to Indigenous culture and history at UBC. Action: In order to operate effectively and responsibly, KLBF cannot only be of service to non-Indigenous guests. In identifying some of the Indigenous histories and cultural sites on campus, KLBF has the potential to disrupt ingrained colonial perspectives and to contribute to the ongoing decolonization of campus. Exposing students, faculty, staff, and visitors to the Musqueam and Indigenous histories upon which the university is founded on makes the campus a safer and more welcoming space for Musqueam and other Indigenous students to share their own stories and perspectives. The KLBF app will also make it easier for students to navigate campus and to locate Musqueam and other Indigenous locations. If, for instance, a student would like to find where they are in relation to a Musqueam house post, or if they would like to visit all ten of Edgar Heap of Birds “Native Hosts” pieces, they can easily and quickly do so via the app’s geolocation services, which triangulate the user and the artwork on the map in real time. Using a Google map platform, the app displays routes of travel and distance/time away from the selected artwork. In locating students in relation to historically important Indigenous locations on campus, KLBF has the potential to make the UBC campus, which can be a very overwhelming space, a more welcoming environment for Musqueam and Indigenous students and visitors. Goal: Provide employment and research opportunities for Musqueam students. Action: This project has funding available to employ one Musqueam undergraduate student and a Musqueam community member to work on the consultation and development of KLBF. They will also serve on the project committee. These positions will pay UBC Research Assistant rates ($17-$28 per hour, according to experience). Students will have the opportunity to: identify sites for representation and develop content on those sites for the app, learn how to use mapping and geolocation software, work closely with FNIS faculty and staff, present their work at academic conferences as well as UBC and Musqueam events. KLBF is a First Nations and Indigenous Studies initiative housed in the Program and administered by FNIS faculty. If approved by the Advisory Committee, we would like to work with Musqueam to determine the best platform for the tour. 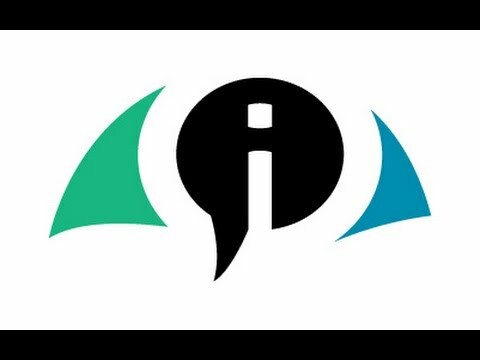 The site will be maintained directly from FNIS with administrator access, which, for the sake of fidelity, is limited to the Project Lead and one trained staff member. If the app is released it will be integrated into the Program’s digital initiatives and maintained by the Administrative Assistant. At any point, the Musqueam advisory can contact David Gaertner (david.gaertner@ubc.ca) to have content added, removed, or edited.